The Rio Grande Foundation is a research institute dedicated to increasing liberty and prosperity for all of New Mexico’s citizens. We do this by informing New Mexicans of the importance of individual freedom, limited government, and economic opportunity. The Rio Grande Foundation does not endorse or oppose either directly or indirectly any candidate for public office. The Foundation does not contribute to campaigns. The Foundation does not participate or engage in political fund raising events or otherwise solicit contributions to any candidate’s campaign. The Foundation does not distribute statements for or against any particular candidate. The Foundation does not engage in any other activity that may favor or oppose a candidate. Paul Gessing became the first full-time President of the Rio Grande Foundation in March of 2006. Since joining the Foundation, Gessing has been a prominent voice for limited government and individual liberties in policy areas including: Constitutional liberties, taxes, health care, education, and transportation. Prior to joining the Foundation, Gessing headed up the lobbying efforts of the National Taxpayers Union (NTU) a respected taxpayer-advocacy organization in Washington, DC. He has published articles in the Wall Street Journal, Washington Post, US News & World Reports, The Albuquerque Journal, Barron’s and several other major publications. He writes for and appears regularly in media outlets around New Mexico. Paul has also testified in Congress and before a variety of state and local bodies. Paul graduated from Bowling Green State University in Ohio with a degree in Political Science in 1997 and he received his Masters in Business Administration from the University of Maryland in 2005. Despite not growing up in Albuquerque himself, his mother is a 1963 graduate of St. Pius and Paul has family in the Albuquerque area dating back to World War II. Paul is on the Board of New Mexico Connections virtual charter school. Paul and his wife Krista were married in October 2007 in Algodones, N.M. and have three girls, Grace, Katherine and Charlotte Rose. He is active in Toastmasters and, in his spare time, Paul enjoys hiking and walking with the family dogs, playing basketball, golf and traveling. Patrick Brenner is the Director of Giving and a Policy Analyst and at the Rio Grande Foundation where Patrick cultivates revenue streams for the nonprofit organization, including grant writing, fundraising, and philanthropic contributions. Prior to joining the Foundation, Patrick worked in public relations and marketing at a firm located in Albuquerque. Patrick is actively pursuing his Master’s of Business Administration with the University of New Mexico. Patrick has experience in public relations, is an advocate for government transparency, has been recognized for his nonprofit work, and has won awards in marketing, among other distinctions in the field. Patrick helps instill conservative principles in his generation through his political activism. 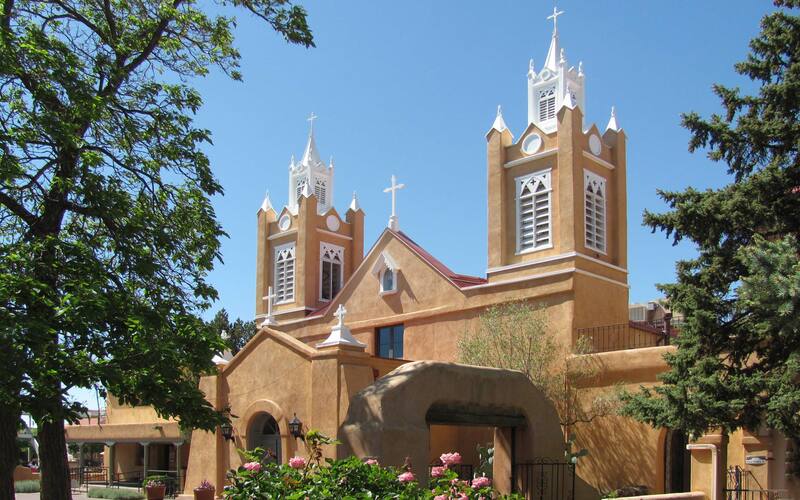 Patrick and his wife Christina live in the Town of Bernalillo with their three children, Charlotte, Marie, and David. He is a pilot, avid cyclist, amateur historian and aquarist. The family enjoys frequent trips to the ABQ BioPark. 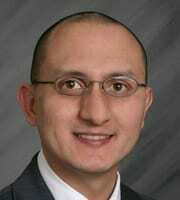 Raul Ayala is the newest policy analyst for the Rio Grande Foundation. Born in Sonoma County, California, Raul moved to New Mexico when he was eleven years old and has been mesmerized by it since. Throughout his life in New Mexico, he always felt passionate for history and ultimately got his Bachelor’s degree in History and Spanish from the University of New Mexico in 2017. 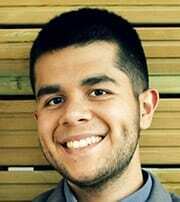 Raul became interested in economics and libertarianism as a junior in college, at which time he came to view economic matters as central to human flourishing, progress, and especially the course of history. Raul loves to travel. He has visited Mexico, Uruguay, Denmark, and has spent several months in Argentina and Spain, where he got to know Spain’s youth libertarian culture in Madrid. Raul is largely self-taught in economics, classical liberalism, and philosophy, with some of his most influential scholars being Milton Friedman, Thomas Sowell, and Ayn Rand. He first got involved with the modern libertarian movement via Young Americans for Liberty at the Santa Rosa Junior College in California. He received a certificate for his attendance of the Moral Foundations of Capitalism seminar from the Foundation for Economic Education and has also attended conferences with Young Americans for Liberty, Students for Liberty, and the Ayn Rand Institute. At this time, Raul is looking to return for his Master’s degree at a top, out-of-state university. Raul wishes to be a voice for Hispanic New Mexicans in the pro-Free Market sector and vice versa. Deriving his interest from his Hispanic ancestral roots and passion for the History of New Mexico, Raul seeks to help build a better future for our wonderful state and bring it to the national spotlight. Paige McKenzie is a policy analyst for the Rio Grande Foundation, and has been working with RGF since 2008. A published writer and public speaker, she has 18 years of experience working in policy organizations, campaigns, state government and other areas related to politics and government policy. She has analyzed thousands of bills in various states and in all areas of government. In 2008 Paige began serving as the Government Transparency Project Manager for the Rio Grande Foundation in Albuquerque, New Mexico. At that time New Mexico was one of only three states in the country that did not have its legislative floor sessions accessible via live video or audio web streaming. The legislature did not even post its House floor votes online. During Paige’s tenure, the Foundation launched an unprecedented transparency site giving the public free electronic access to the payroll and all other spending by the state’s 10 largest school districts. After the site’s launch, the legislature passed a law requiring all school districts to submit their payroll and spending information to the state’s Sunshine Portal transparency site for the public. The New Mexico legislature not only began complying with both of the above transparency standards, but also passed bills requiring the state to post all state contracts over $20,000 on the Internet, as well as the salaries of all state employees. In addition, the state now requires all state and local government agencies to provide information to the public electronically when so requested. 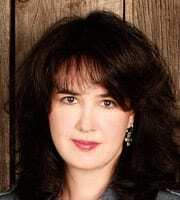 Paige has written and edited for various local and national magazines, including American Cowboy, Nashville Life and Business Nashville magazines, the New Mexico Business Journal, Albuquerque The Magazine and NewsMax, where she also served on the company’s editorial board. She has interviewed John Fund, John Stossel, David Horowitz, Michael Deaver, Mary Matalin, and various congressmen, senators, authors and celebrities. Her experience includes television reporting and production, political and communications consulting, public relations, event planning, and public speaking in New Mexico and in Washington, D.C.
Paige has a bachelor’s degree in communications from David Lipscomb University in Nashville, Tennessee, with a minor in business and the French language. Dr. William Patrick Leonard is Advisor on Higher Education Policy at the Rio Grande Foundation. He serves as Vice Dean SolBridge International School of Business in Daejeon, Korea. He holds a Ph.D. in Educational Communication from the University of Pittsburgh, MBA Loyola University of Chicago and master and bachelor’s degrees from Indiana University, Bloomington. He has served in an array of senior academic leadership posts-dean library and learning resources, associate provost, vice chancellor, campus executive dean and college president. Leonard as has served in Guatemala, Germany, United Arab Emirates and currently Korea. 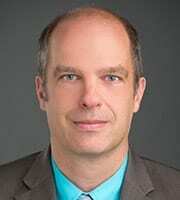 His research interest focuses on assessment, economics, governance and policy issues in higher education. His 170 essays and reviews have appeared in an array of professional journals and popular press. Rebecca Ralph has worked as a writer, prosecutor, and major gifts officer. She attained her B.A. from George Mason University in Government and International Politics, and her J.D. from the University of New Mexico. She first came to New Mexico to attend New Mexico Military Institute and returned after college to complete law school. Trent England is the Executive Vice President and a Distinguished Fellow at the Oklahoma Council of Public Affairs, where he also directs the Save Our States project and hosts The Trent England Show podcast. Trent previously served as Executive Vice President of the Olympia, Washington-based Freedom Foundation. He was a candidate for the Washington State House of Representatives in 2006 and earlier served as a legal policy analyst at The Heritage Foundation. Trent is a contributor to two books-“The Heritage Guide to the Constitution” and “One Nation Under Arrest: How Crazy Laws, Rogue Prosecutors, and Activist Judges Threaten Your Liberty.” His writing has also appeared in the Wall Street Journal, Christian Science Monitor, Washington Times, and other newspapers. Trent earned a law degree from The George Mason University School of Law and a bachelor of arts in government from Claremont McKenna College. He lives in Oklahoma City with his wife and their three children, and they all enjoy visiting their neighboring state of New Mexico for hiking and camping. 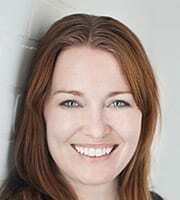 Katie McAuliffe joins the Rio Grande Foundation as an Adjunct Fellow focused on connectivity. Her expertise in telecom and technology issues spans more than 10 years and includes topics such as: net neutrality, privacy, internet taxes, automated vehicles, future of work, broadband, tech/telecomm reform, etc. She has testified before Congress and her commentary has been published in The Hill, Forbes, U.S. News & World Report, Townhall, and the Daily Caller. In addition to appearing on One America News Network, Blaze TV’s Reel News, CSPAN, and Huffington Post Live; she frequently speaks to audiences around the United States about federal and state policy surrounding the tech and telecom industry. She also serves as Executive Director of Digital Liberty and Federal Affairs Manager at Americans for Tax Reform, and worked for Congressman Cliff Stearns? (R-Fla.). She received a Master of Mass Communications with a Telecommunications Policy focus from the University of Florida and her B.A. from Virginia Tech. 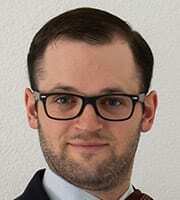 J. Scott Moody has worked as a Tax Policy Economist for over 13 years. 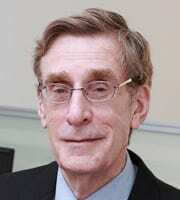 He is the author, co-author and editor of over 100 studies and books. He has testified twice before the House Ways and Means Committee of the U.S. Congress as well as various state legislatures. He has been interviewed by countless newspapers and radio and television stations. His work has appeared in Forbes, CNN Money, State Tax Notes, Portland Press Herald, New Hampshire’;s Union Leader, Hartford Courant, the Oklahoman and Albuquerque Journal. 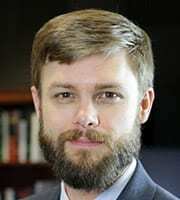 His professional experiences includes a positions as Senior Economist at the Tax Foundation, Senior Economist at the Heritage Foundation, Vice President of Policy and Chief Economist at the Maine Heritage Policy Center, Senior Fellow at the Oklahoma Council of Public Affairs and Research Fellow at several other free-market think tanks. Scott received his Bachelor of Arts in Economics from Wingate University (Wingate, N.C.). He received his Master of Arts in Economics from George Mason University (Fairfax, VA). Developed policy program for SPN think tank as former Vice President of Policy and Chief Economist at The Maine Heritage Policy Center. Developed the tax Foundation’s first Federal Individual Income Tax Micro-Simulation Model. Developed framework for state-level Individual Income Tax Micro-Simulation Models. Operationalized the Tax Foundation’s statistically matched database between IRS and CPS data — results published in the “Putting a Face on America’s Tax Returns” report series. Author of the Tax Foundation’s “Tax Freedom Day” for five years. Editor of the Tax Foundation’s “Facts and Figures on Government Finance” for four years. Todd Myers is the Director of the Center for the Environment at Washington Policy Center. He is one of the nation’s leading experts on free-market environmental policy. Todd is the author of the landmark 2011 book Eco-Fads: How the Rise of Trendy Environmentalism is Harming the Environment and is designated a Wall Street Journal Expert Panelist for energy and the environment. Todd’s research on the failure of “green” school mandates has stirred a reassessment of those requirements in school districts across the country. He currently sits on the Puget Sound Salmon Recovery Council and served on the executive team at the Washington State Department of Natural Resources. 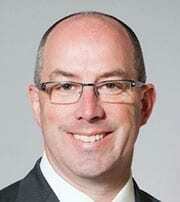 Todd also served as Director of Public Relations for the Seattle SuperSonics and Director of PublicÂ Affairs for the Seattle Mariners, and he holds a Master’s degree from the University of Washington. 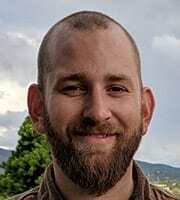 Kyler Nerison joined the Rio Grande Foundation as an adjunct fellow in November 2018 and is the executive director of New Mexicans for Economic Prosperity, a statewide economic advocacy coalition. As assistant chief of staff for Governor Susana Martinez, he oversaw various reform initiatives and is an expert on New Mexico’s occupational licensing laws and regulations. He has held a wide variety of positions in state governments, political campaigns, and on Capitol Hill. Deane Waldman, MD, MBA was educated and trained at: Yale, Chicago Medical School, Mayo Clinic, Northwestern, Harvard, and Anderson Management Schools. He has been Chief of Section at San Diego Children’s, University of Chicago and University of New Mexico, as well as a practicing pediatric cardiologist for over 35 years. He has authored over 100 academic publications as well as numerous lay articles and blogs on the practice of medicine as well as the management of and strategy for health care delivery. In his book – Uproot U.S. Healthcare – Deane shares insights into the root causes of why the healthcare system consistently fails patients, providers, and our country alike. Most important, the book shows why the public and only the public can and must fix healthcare. 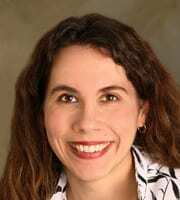 Dr. Wendy P. Warcholik has worked as an Economist in public policy settings for over 13 years. She has extensive experience in applying statistical and econometric tools in public policy paradigms. Her professional experience includes positions as Economist at the Bureau of Economic Analysis in Washington, D.C., Chief Forecasting Economist for the Commonwealth of Virginia’s Department of Medical Assistance Services, Adjunct Scholar with the Tax Foundation, and Research Fellow at The Oklahoma Council of Public Affairs. 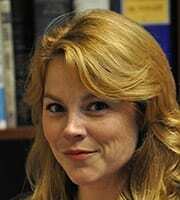 In addition, she is a Research Fellow at several U.S. free-market think tanks. She has taught numerous economics classes to MBA students. She received her Ph.D. in Economics from George Mason University. While pursuing her Ph.D., she was a Bradley research fellow and affiliated scholar with Nobel Laureate James Buchanan’s Center for the Study of Public Choice. Her dissertation required the creation and analysis of a panel dataset for 30 variables for all Metropolitan Statistical Areas (MSAs) over a ten-year period. Principal architect of the Tax Foundation’s first edition of the State Business Tax Climate Index. Rebuilt the State of Virginia’s Medicaid forecasting models. Led efforts to use the Tax Foundation’s matched IRS/Census database to produce a stream of reports as part of the Putting a Face on America’s Tax Returns project.